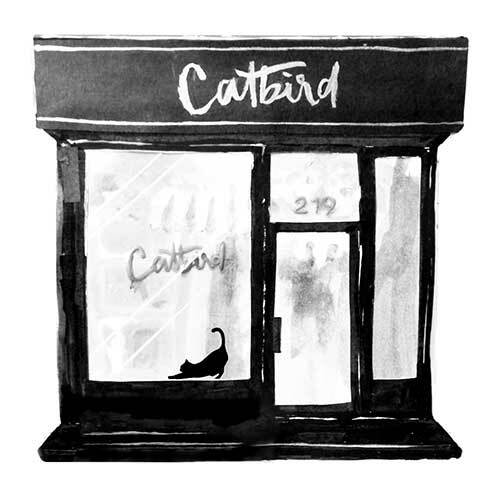 Since Day 1, before we could really afford it, Catbird has always been a charitable company. (See below for The Catbird Mets!) We vote as a company on what organizations to support. Here is a list of some of the organizations we have been giving to recently. This list - and the amounts - are always growing thanks to your support. Citizen's Climate Lobby is a non-profit, non-partisan, grassroots advocacy organization focused on national policies to address climate change using a consistently respectful, non-partisan approach designed to create a broad, sustainable foundation for climate action across all geographic regions and political inclinations. The American Civil Liberties Union was founded in 1920 and is our nation's guardian of liberty. The ACLU works in the courts, legislatures and communities to defend and preserve the individual rights and liberties guaranteed to all people in this country by the Constitution and laws of the United States. As a progressive and women-led company we openly support Planned Parenthood as they stand at the forefront of advocacy for reproductive rights and provide quality, compassionate healthcare to those most in need. As events occur we act fast to find efficient organizations who hit the ground running helping those affected. From Hurricane Sandy to devastating earthquakes in Nepal, your purchases directly benefit victims of natural disasters all over the world. 20% of all sales from our Full Heart Necklace go to Girl Up - an inspiring organization working with the United Nations Foundation to unite girls to change the world. As a woman based organization we are committed to supporting the education of girls throughout the world. The NWLC have been on the frontlines of virtually every advance for women for more than 40 years, benefiting women, their families, their communities, and the nation. We are proud to help an organization champion policies and laws that help women and girls achieve their potential throughout their lives. An amazing organization that gives people the tools, education and resources to become entrepreneurs, so they can serve their own communities with improved health, decreased hunger, a safer environment and clean water. As a woman-entrepreneur led business, this speaks to our heart. She's the First fights gender inequality through education. STF supports girls in low-income countries who will be the first in their families to graduate high school by providing need and merit based scholarships. We are New Yorkers - either native or transplant - and we are passionate about our city. Food Bank For New York City helps feed more than 1.5 million people per year citywide. For every $1 donated 5 meals can be provided to New Yorkers in need. To date Catbird has provided 100,000 meals citywide. The mission of Doctors Without Borders/Médecins Sans Frontières (MSF) is to provide impartial medical relief to the victims of war, disease, and natural or man-made disaster, without regard to race, religion, or political affiliation. War Child works to protect children and their families in conflict zones. By focusing on the three main pillars of education, opportunity and justice, they work to create sustainable peace for generations to come. LOCAL CHARITIES, SCHOOLS & ORGANIZATIONS - Since Day One, we have been committed to supporting our community and recognizing that other local communities need support. Our entire operation - manufacturing, retail, shipping, design - is in Brooklyn and we support local schools, teams, hospitals and other local organizations. Please email foundation@catbirdnyc.com with any questions or inquiries.